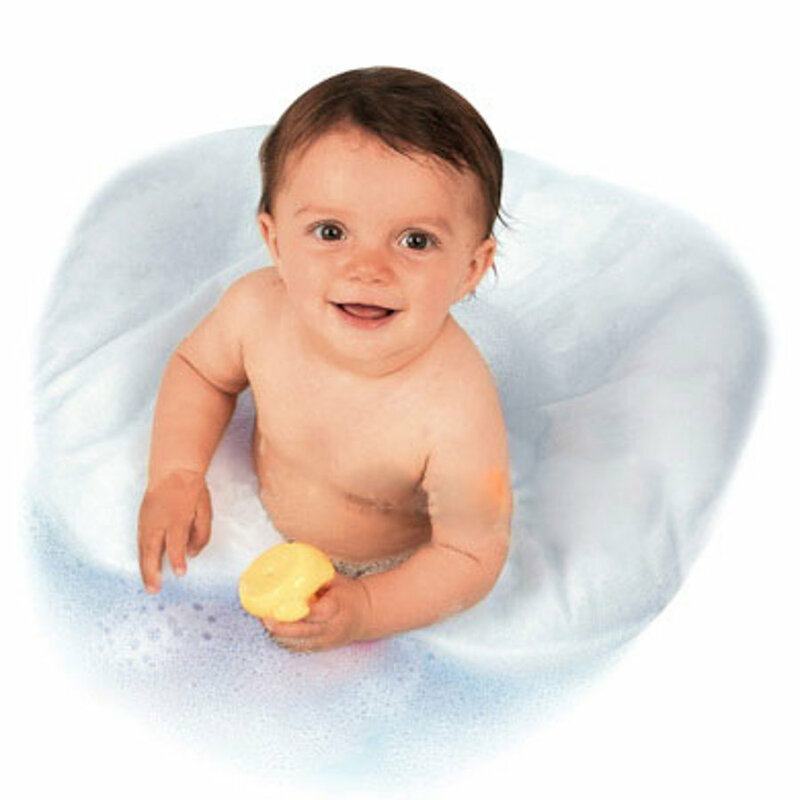 Comfy Bath should be pressed under water until it is full and then it becomes a water cushion for your baby. Your baby can comfortably be placed on the cushion in a sitting or lying position. You then have your hands free to play with your child or the bathe it. Comfy Bath can be used from birth and can be used by your child for a long period of time. • Snap fastener allows your baby to lie an its back and feel secure. • In a sitting position or with the Comfy Bath around its waist - your baby can keep its balance.